The Campus Food Strategy Group at the University of New Brunswick and St. Thomas University has recently been granted approximately a quarter acre of land to create a campus community garden. The group is part of the Campus Food Systems Project, a national network that supports campus-community collaboration and the creation of sustainable and healthy food systems on university campuses. The UNB Student Union (UNBSU) and UNB Fredericton’s Facilities Management Sustainability Program have been supporting the Campus Food Strategy Group through their process of achieving approval for the garden for the last two years. The UNBSU sponsored a member of the Campus Food Strategy Group to present to council, who unanimously supported the initiative. The first phase of the development of the garden is underway and UNBSU will collaborate with the group moving through all phases. UNBSU recognized a stagnant line in their budget that hadn’t been used in a number of years that will help support the environmental project. 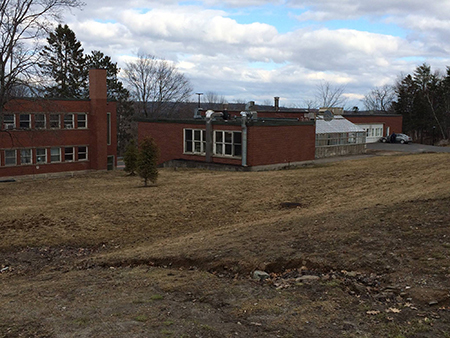 They hope to have approximately 70 plots in the space; the landscape architect will determine this with direction from the student group and Danielle Smith, UNB Fredericton campus’ Sustainability Coordinator. There will be educational opportunities for people interested in learning about gardening. The contracts and rules for the garden have not been fully established. Plots can be rented by anyone in the community, however priority will be given to UNB students, faculty and staff. In addition to the new garden, UNB’s Fredericton campus will be planting 20 trees on campus this year in recognition of the importance of Earth Day. Earlier this year, UNB Fredericton’s Facilities Management Sustainability Program launched the first issue of The Green Review, an annual publication that showcase’s environmentally sustainable initiatives on campus.